$2.80 Moon and Stars - 3 Sizes! $2.80 Sweetie Ghost - 3 Sizes! $2.80 Jake the Ghost Applique - 3 Sizes! $2.80 Applique Skull and Crossbones - 3 Sizes! $2.80 Happy Halloween Applique - 3 Sizes! $0.70 Where's My Senior Discount? - 4x4 $2.80 Cutsie Snowman - 3 Sizes! $2.45 Mini Bumble Bee $2.80 Heirloom Rose Heart - 4x4 $2.45 Mini Baby Whale $2.45 Mini Christmas Light $2.45 Mini Strawberry $2.45 Mini Dalmatian $2.80 Baby Cow - 4 Sizes! $2.80 Baby Cow 2 - 4 Sizes $2.80 Baby Cow 3 - 4 Sizes $2.80 Baby Cow with Blanket - 4 Sizes $2.80 Baby Cow Moon - 4 Sizes $8.40 Baby Cows Set - Four Sizes Each! $2.80 Frankie Applique- 3 Sizes! $2.80 Candy Corn Fun Applique- All 3 Sizes! $2.80 Bubbin Bear in a Pumpkin - 4x4 $2.80 A Little Witchy - 3 Sizes! $2.80 Primitive Cow Filled 4x4 $2.80 Happy Spider- All 3 Sizes! $2.80 Rustic Annie - 4x4 $2.80 Rustic Angel - 4x4 $2.80 Do Your Part Set- 4x4 and 5x7 plus Bonus! $2.80 Pumpkin - 4x4 Free! Election Celebration FREE!- 3 Designs! $3.50 Christmas Faces 5x7 - 5 Designs $8.40 Darling Mouse Set- 7 Designs, 3 Sizes! $2.80 Summer Mouse Applique- All 3 Sizes! $2.80 Round Cheese Applique- All 3 Sizes! $2.80 Mouse 2 Applique- All 3 Sizes! $2.80 BFF- Best Friends Forever! Applique- 5x7 $2.80 Hawaiian Applique Shirt- All 3 Sizes! $2.80 Bubbin Bear with Flag - 4x4 $2.80 Pawprint Applique - 3 Sizes! $2.80 Dog Applique - 3 Sizes! Free! Basting Stitches - FREE! $2.80 Fairytale Carriage Applique - 3 Sizes! $3.50 Christmas Faces 4x4 - 4 Designs! $2.80 Floral Lace Heart Applique - 3 Sizes! $2.80 Bear and Applique Heart - 3 Sizes! 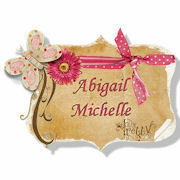 $8.40 Sweet Angel Set - 8 Designs! $3.50 Butterfly Alphabet - 4x4 $4.20 Gone Fishing Set - 3 Sizes! $3.50 Dog Applique Set, 4 Designs - 3 Sizes! $3.50 Applique Sports Ball Bundle - 4 Designs! $2.80 Juggling Snowman - 4x4 $2.80 The Red Thread - 3 Sizes! $8.40 Princess Fairytale Applique Set - 10 Designs! $8.40 Everyone's a Star Applique, 3 Sizes - 8 Designs! $4.20 I'm Puzzled! Set 4 Puzzle Pieces - 3 sizes! $2.80 Bubbin Bear with Christmas Tree - 4x4 $2.80 Bubbin Bear with Candy Cane $5.60 Bubbin Bear Christmas- 6 Designs! $2.80 Party Balloons Applique - 3 Sizes! $2.80 Heart Butterfly Applique - 3 Sizes!